When Katie Steelman graduated from college, she had no idea what life had in store for her. With diploma in hand, she had ambitions of creating jobs for women in Third World countries. However, without a clue of where to begin, her only option was to move back to her hometown of Santa Rosa Beach, Florida. Meanwhile, Steelman’s older sister, Abbie Boatwright, was already back home juggling marriage, two toddlers, and waiting tables. Her dream was to one day open her own business. As they both grappled with life strategies, the sisters sought ways to achieve their dreams together. Their goals ultimately merged into OKO Lifestyle, a new brand equipping people to Overcome, demonstrating acts of Kindness and giving Opportunity to those who need it most. OKO Women opened its doors in The Hub on Scenic Highway 30-A in April of 2016. 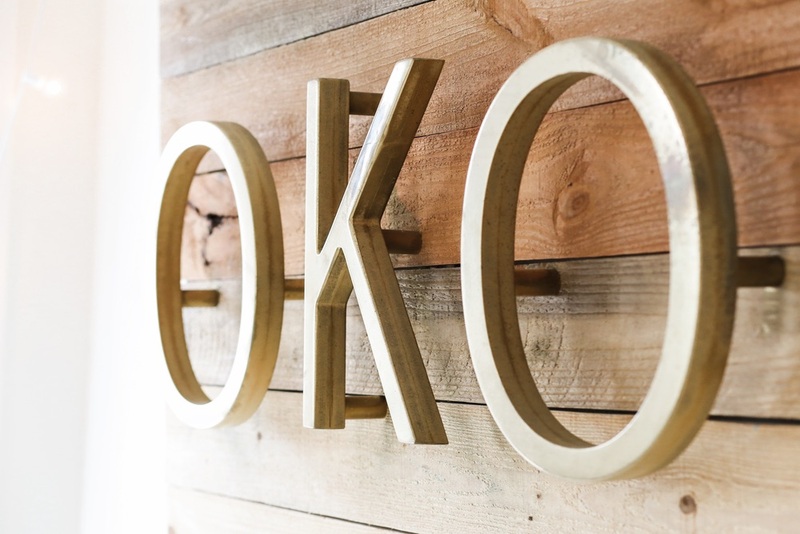 One month later, OKO Kids had its grand opening right next door. 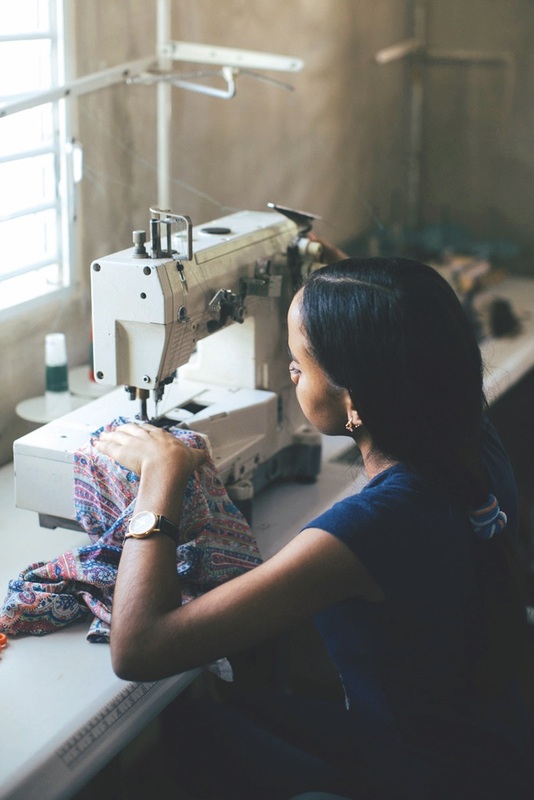 However, that wasn’t enough for Steelman and Boatwright; they next launched a clothing line, OKO Lifestyle, which employs women in the Dominican Republic to handcraft the garments. 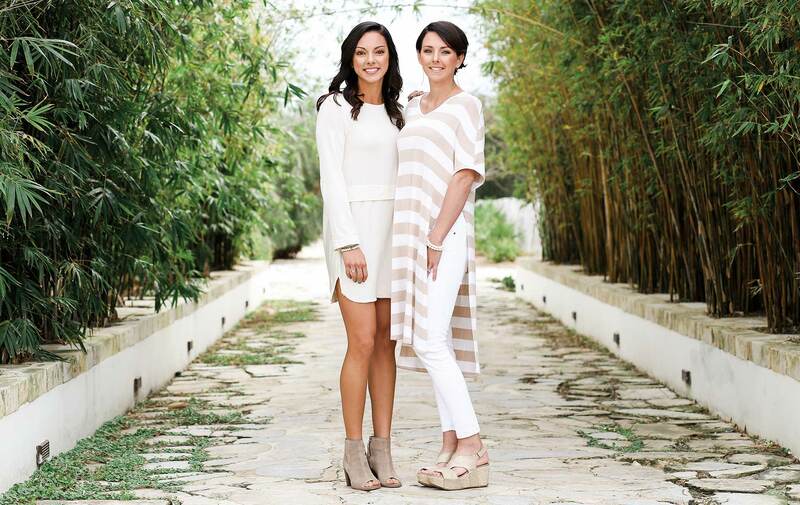 Both in their early twenties, the sisters are living the dream: owning their own thriving business while working together. These “girl bosses” admit that the past year has been a whirlwind, and anyone who knows them will tell you they are flying by the seat of their pants. But before any of it became a reality, they had to release their white-knuckled grips of fear to an unseen God who would turn what seemed like a dead end into an open door. When Steelman moved home after graduation, she and Boatwright would rally early in the morning to brainstorm before Boatwright’s children woke. Starting a business during this season of life was going to require a lot of hustle—and coffee! They explored ideas of opening a store and even considered starting a catering company, but both agreed they wanted to do something bigger. Their father, Scott Steelman, runs a nonprofit called Global Effect, which for years has been involved in social and economic development in the Dominican Republic. A group of women approached Global Effect about getting a microloan to buy sewing machines so they could create work for themselves. These women had no idea where they would find people to employ their skills, but there were two people in Florida praying for such an opportunity to come along. The sisters are living the dream: owning their own thriving business while working together. When Scott mentioned this to his daughters, they knew it was Providence. However, as much as they wanted to pursue this opportunity, they struggled to find the financial means to make it happen. After months of disappointment, Steelman decided to take an internship with Global Effect. Though they were heartbroken over the loss of a possible business venture together, they trusted that God had bigger plans. The sisters agreed it was not the right time for the store, so Steelman hopped on a plane to the Dominican Republic for her internship. 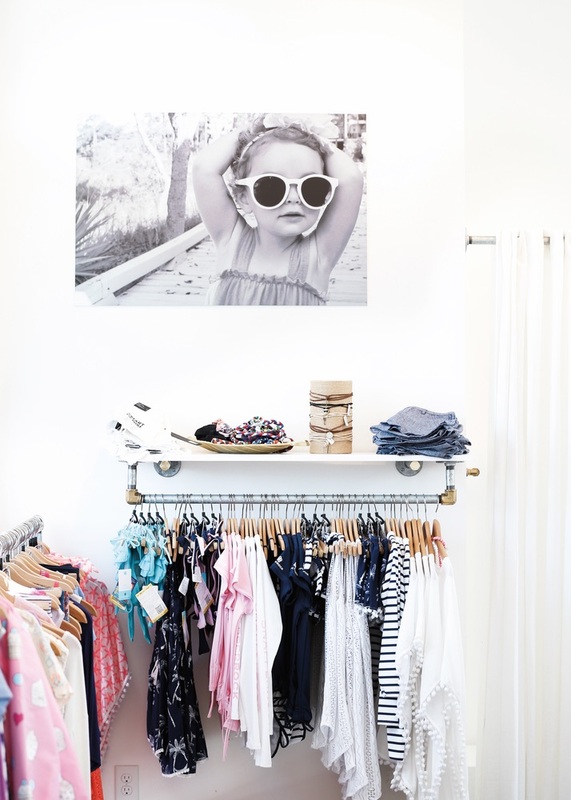 With two stores in Santa Rosa Beach, Florida, and a thriving business employing women in the Dominican Republic, OKO Lifestyle’s future is bright. Soon after Steelman left, the situation changed. A local boutique retail center, The Hub, was looking for a women’s clothing retailer. Within hours of meeting with Tom Brown, the center’s manager, Boatwright was offered the space, but with one catch: the store had to be open by spring break. She signed the lease. An overjoyed Steelman immediately flew from the Dominican Republic to Atlanta, where she and Boatwright blitzed AmericasMart Atlanta in search of product for the store’s first retail season. Pleased with their haul, Steelman headed back to the Dominican Republic to conclude her internship and to meet with the Dominican women about sewing their first apparel line for OKO. While she was busy readying OKO’s inaugural line, Boatwright was back in Florida overseeing the store build-out. Steelman successfully made it back in time for OKO Women to open its doors for the mandated deadline. The sisters dreamed of opening a kids store next, and although the spaces in The Hub were full, they expressed to Brown that they were interested in another space if anything became available. Two weeks later, they were offered the space adjacent to OKO Women, but not without another catch: they had to open by Memorial Day weekend. With every penny invested into OKO Women, Steelman and Boatwright did not want to lose the opportunity. They gave a tentative acceptance and began the process of funding their next dream. They prayed and sought out every option, but without much luck. So, when Brown came looking for them to get their final decision regarding the lease, they did the only thing they knew to do: they hid under the store’s cash register to buy themselves more time! Just when they had decided to admit they couldn’t do it on their own, God showed up and reminded them that He was in control: a family friend came forward and offered Boatwright and Steelman the amount they needed to open the new store. A walk through the OKO stores reveals a range of products true to Steelman and Boatwright’s vision: anyone, at any age, can find something for nearly any occasion. And, their loyal customers do seem to vary in both style and age, mainly because the focus of the OKO brand is luxury basics featuring quality fabrics and simple, timeless designs. The sisters have been amazed at how well the OKO line has been received by their clientele. “It’s like God is allowing our customers to see the vision of our brand when they look at our clothes,” Steelman says. “Most people shopping in the store for the first time have never heard of us. But still, they pick things up off the rack and fall in love.” Along with OKO’s luxury basics, the shop carries trendy pieces from other brands. The sisters often ask each other, “Is this real life?” It’s easy to see that they are doing something they love and how much fun they have doing it together. At times they argue and drive each other crazy—as sisters will do—but they are quick to resolve any issues. Their family has been supportive every step of the way. They admit they’ve made mistakes, and learning to balance work and family life has presented its challenges. They are constantly aware of their dependence upon God with each step and know that He is the reason everything is working out. The future of the OKO Lifestyle brand looks bright. Along with the plans for the factory in the Dominican Republic, the sisters hope to offer their brand at wholesale prices to other retailers and to open more OKO stores. They want the heartbeat of everything they do to be about equipping people to Overcome, demonstrating acts of Kindness, and giving Opportunity to those who need it most. Whether that means the employees in their stores, the women in the Dominican Republic, or their customers, Steelman and Boatwright pray OKO Lifestyle will impact the lives of women everywhere. It’s much more than a brand; it’s a mission to help people overcome anything life throws their way.